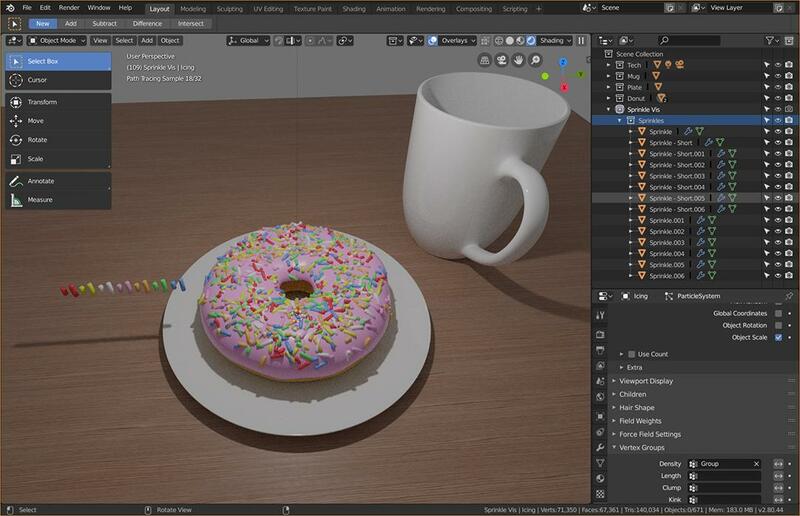 I just started learning Blender, so I'm following the donuts tutorial from Blender Guru. 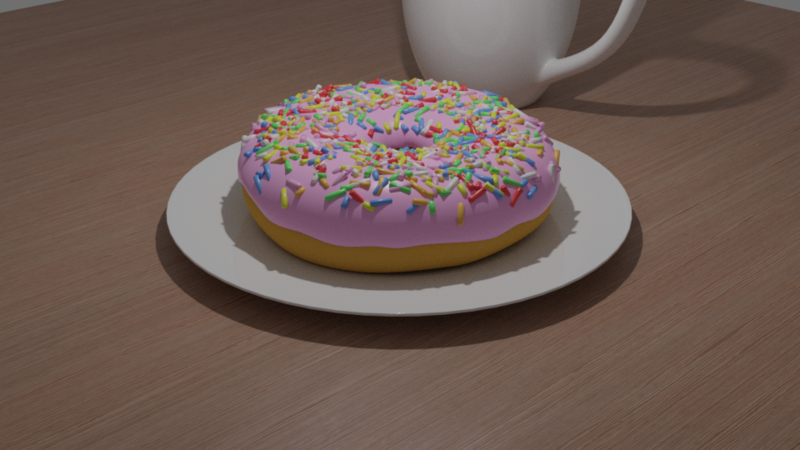 Unfortunately, I'm stuck at part 7 on rendering Sprinkles. 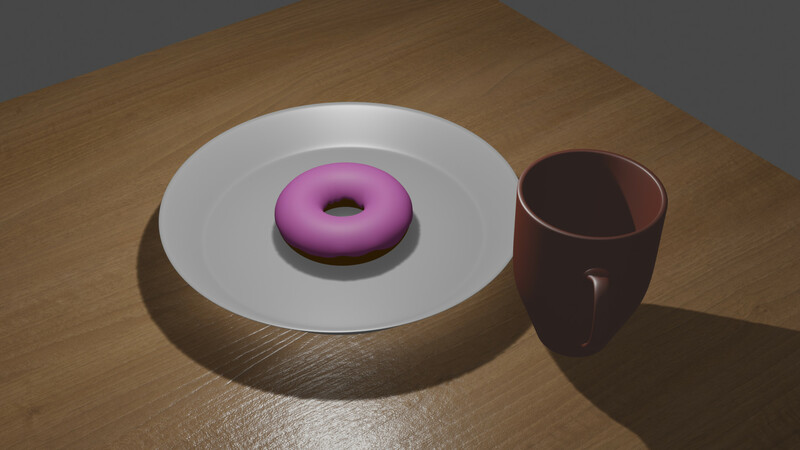 My Blender file can be downloaded here. 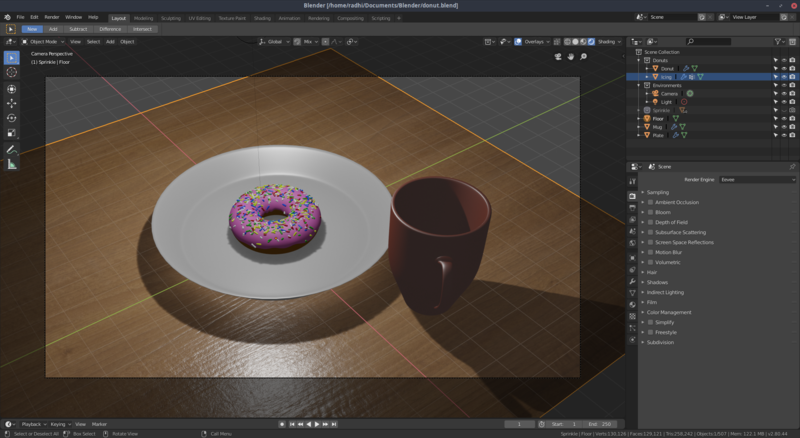 Apparently this is the issue from older version of Blender 2.8 and has been fixed on the latest update (at least when I tested on commit d3870471, 2019-02-12). Still the same behaviour in the build released today (2019-3-14), but there is a solution. I see you've created a collection for the sprinkles to act as a group in the particle emitter. That collection needs to be set to Renderable (the camera icon) to work in the particle renderer. However, if you put that one INSIDE another collection (I made one called 'Sprinkles Vis') and turn the camera icon off for that one instead, ONLY the particle system ones end up rendering. Not the answer you're looking for? Browse other questions tagged modeling particles or ask your own question. Why is this texture not showing when using explosion modifier?